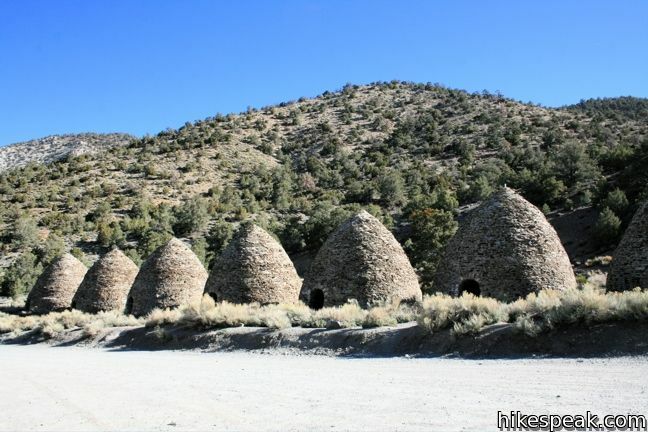 The Charcoal Kilns are a well-preserved attraction in Death Valley National Park. These conical constructions converted lumber to charcoal from 1879 to 1882. During that period, workers burnt logs in these giant airtight ovens, pyrolyzing pine to charcoal, which was then hauled to the nearby Modock Mine smelter. The coal-making process took about two weeks. The briefly used kilns were restored in the 1930s and again in the 1970s and are in great shape for modern visitors. 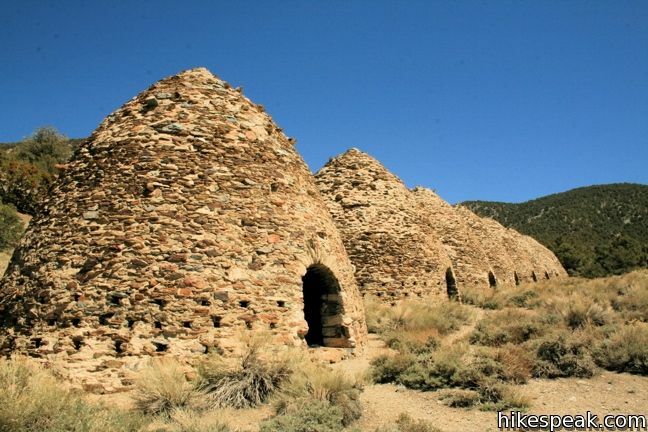 Located 37 miles from Stove Pipe Wells, at an elevation of 6,800 feet, the kilns offer escape from both the heat and the crowds of the desert below. The kilns are arranged in a tight line along the road, and are easy to access. For those looking to stray farther from the parking lot, an 8.4-mile round trip trail to Wildrose Peak begins from the kilns. 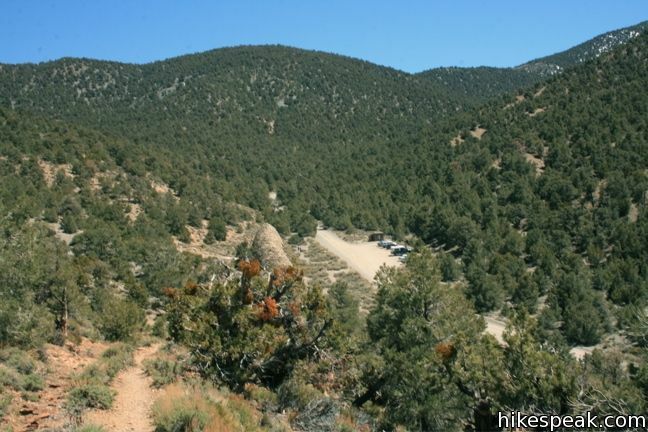 If you are not interested in the long hike to the peak, it is still worth hiking up the trail for a quarter mile to a point where the trail crosses a rocky overlook with a beautiful view down Wildrose Canyon. 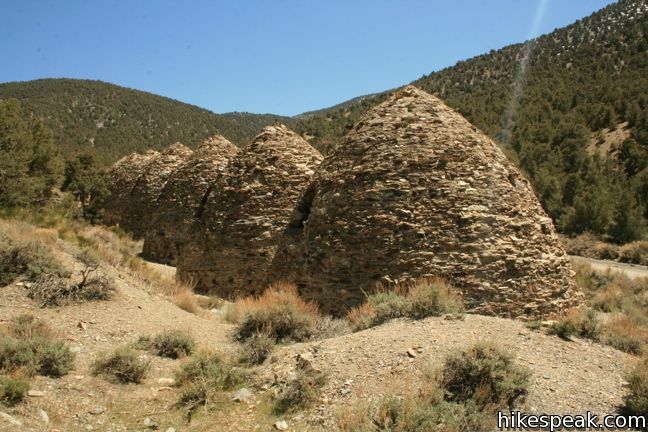 To get to the Charcoal Kilns: From Stovepipe Wells, head west on Route 190 for 9 miles. Turn left (south) just past Emigrant Campground on to Emigrant Canyon Road. Drive 21 miles to Wildrose Campground, and continue another 7 miles to the Charcoal Kilns. The last 4.5 miles are unpaved graded gravel (which may close in winter). 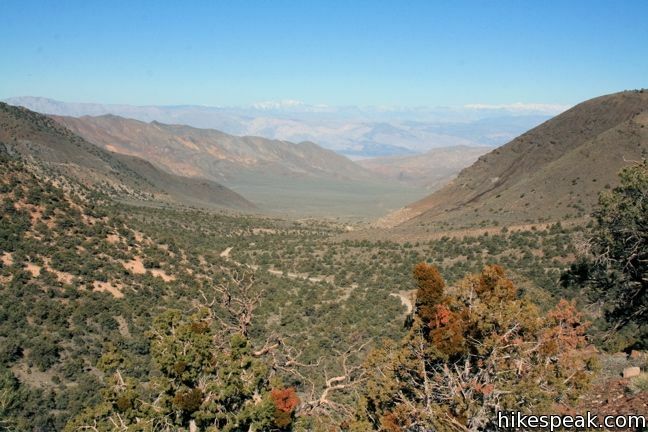 This towering overlook above Badwater Basin offers panoramic views of Death Valley. This 9-mile drive crosses a sloping mountainside composed of vibrant soil colored by rich metals. The ¼ mile walk around the Harmony Borax plant offers a window into the mining past of Death Valley. This easy-to-reach overlook offers a stunning panorama of the badlands near Furnace Creek.